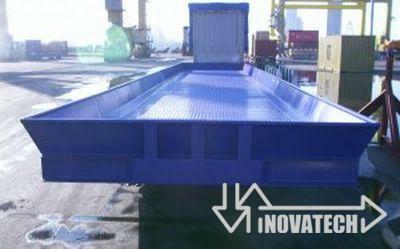 To transport leaking 20′, 40′ and 45′ ISO containers to a safe dumping ground. The trailer is fully watertight with a 300 mm high coaming and 5 mm flooring. In the back of the trailer there is a removable steel grid flush with the deck. A leaking container would be placed in the front end of the trailer where ISO pins are located for securing the container. The Spreader Trailer is custom build for your actual spreader make/size. The trailer is used for storage of your spare spreader. It is equipped with steel grid flooring and has all necessary platforms and steps for easy access. 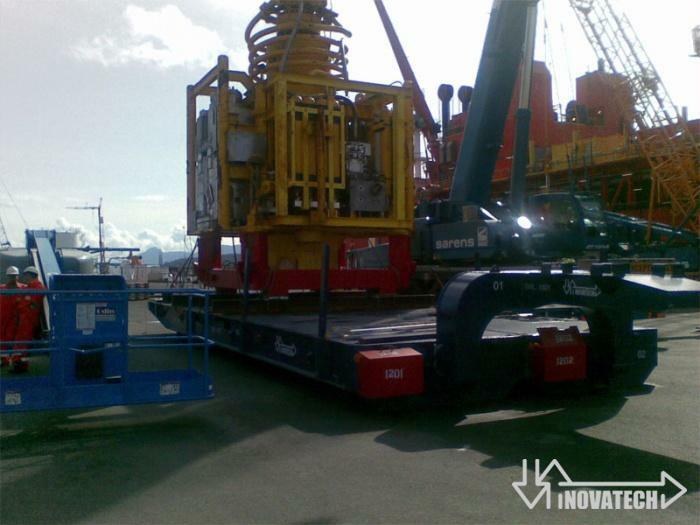 The Double Trailer has a load capacity of 150 ton. 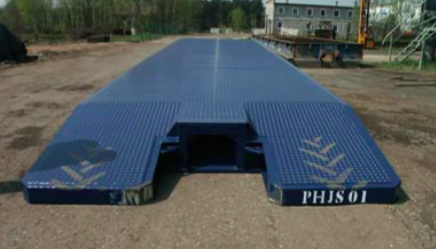 It consists from 2 bolted 120 ton Roll Trailers and has double Gooseneck. These unit is mainly for transport of big self driving machines. The platform has been constructed so that any self driving device can drive up from the front end of the trailer. 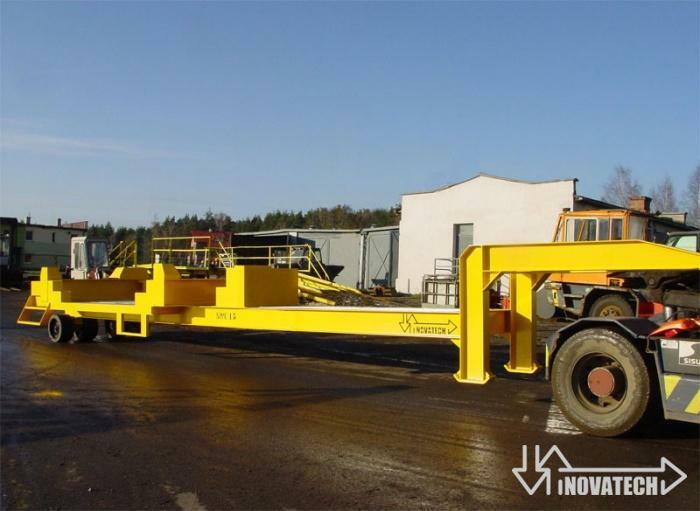 After loading it operates as normal roll trailer by loose Gooseneck.